In the first place came: Asmaa Ramy Ali (Painting). In the first place came: Akram Yassin Ali (Photography). 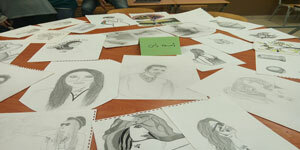 In the second place came: Amira Mahmoud Ali (Painting). In the third place came: Alaa Momen Ali (Painting).